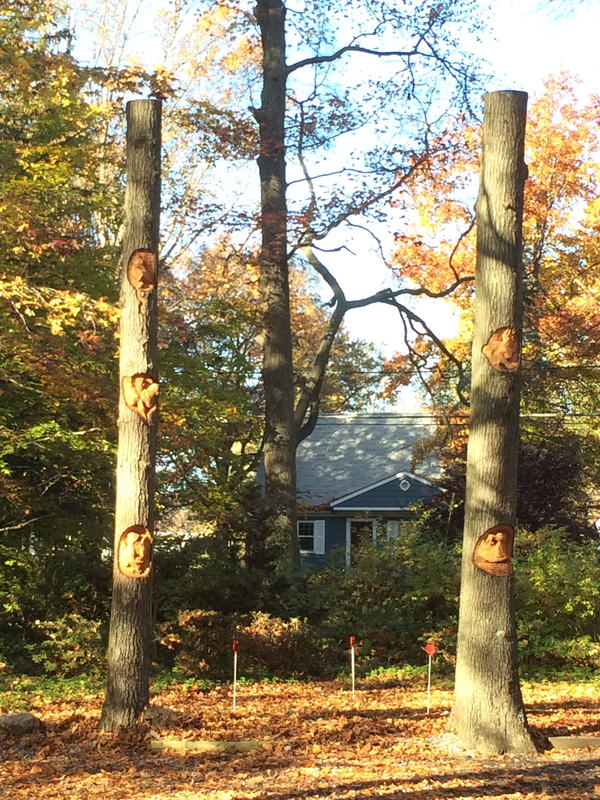 I've had many opportunities to carve trees for homeowners. These trees had diseases or other imminent threats to their health. 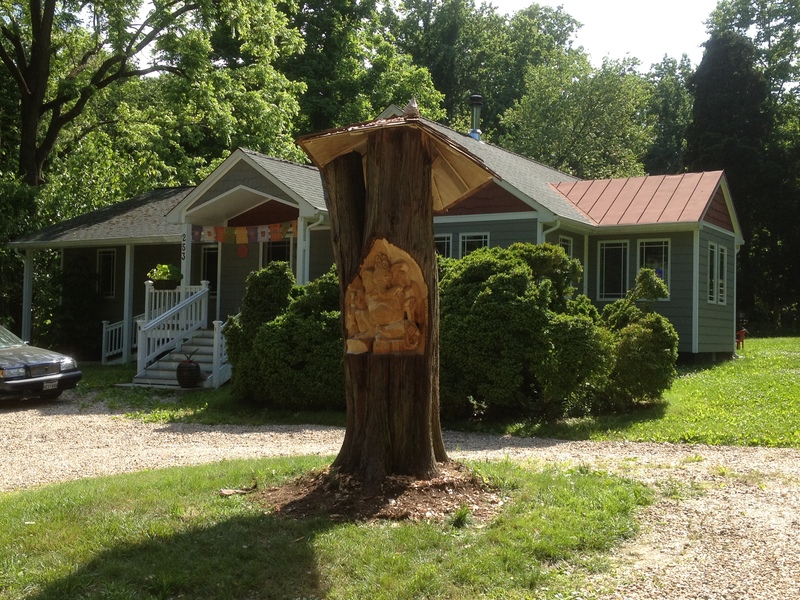 Each client decided to give the trees they cherished new life as wood carvings. 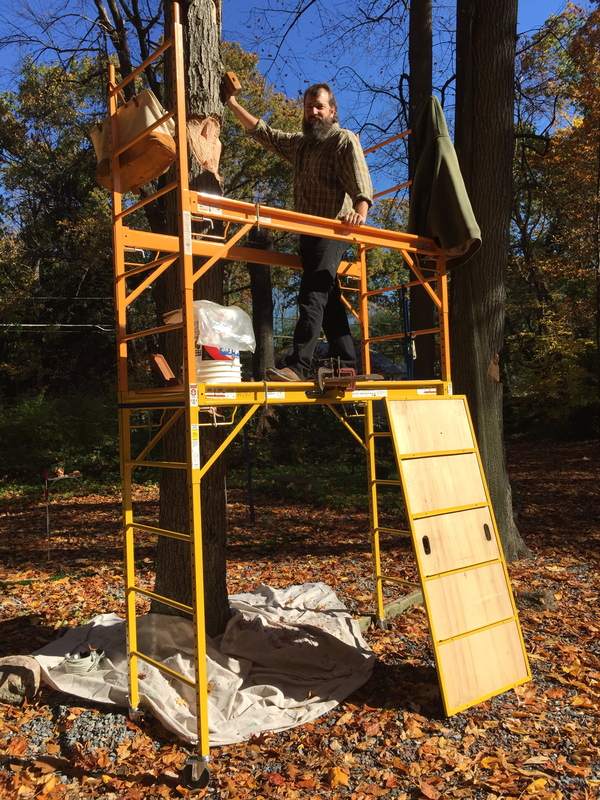 I work to develop designs that are meaningful and take full advantage of the tree's potential. I also work with each client to decide the type of preservative treatment. 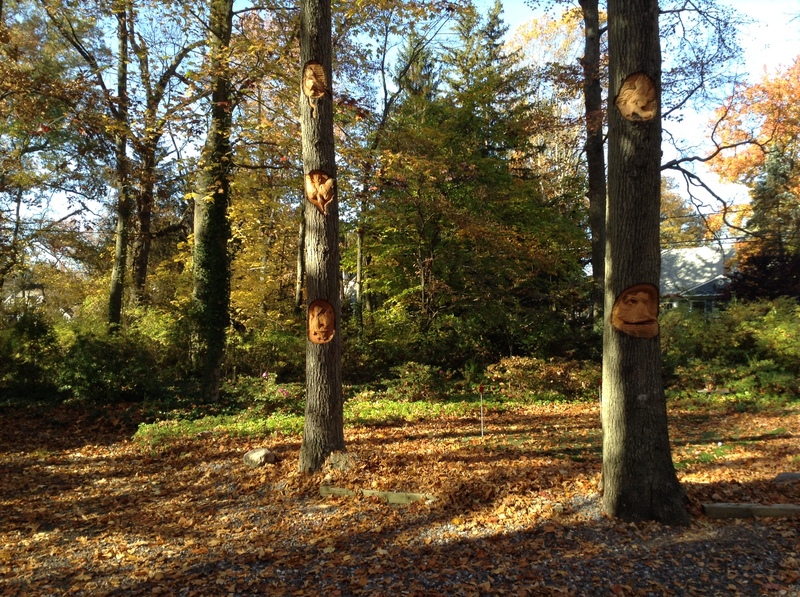 Although the eventual decay of wood is inevitable outdoors in a damp climate, the carving's longevity can be extended. Each time I seek to maximize the client's years of enjoyment with minimal environmental impact. 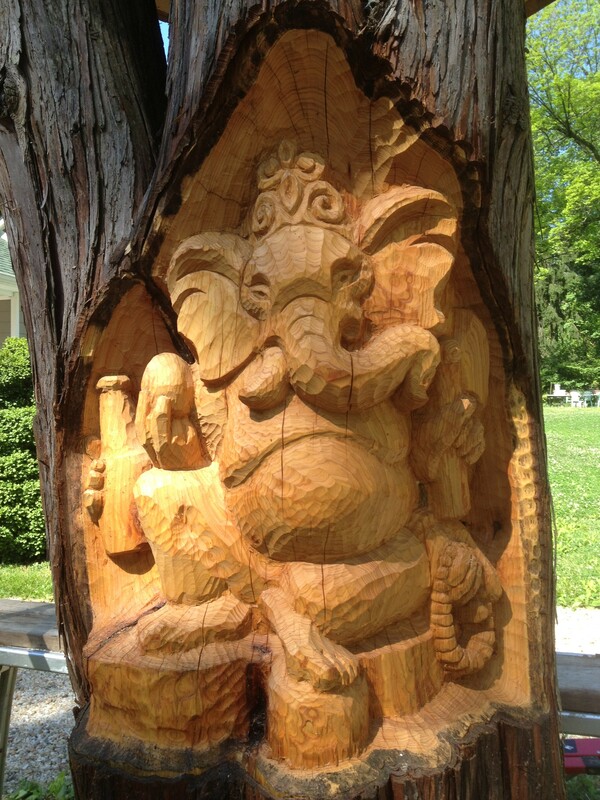 Here are some of the carvings I've created for homeowners. 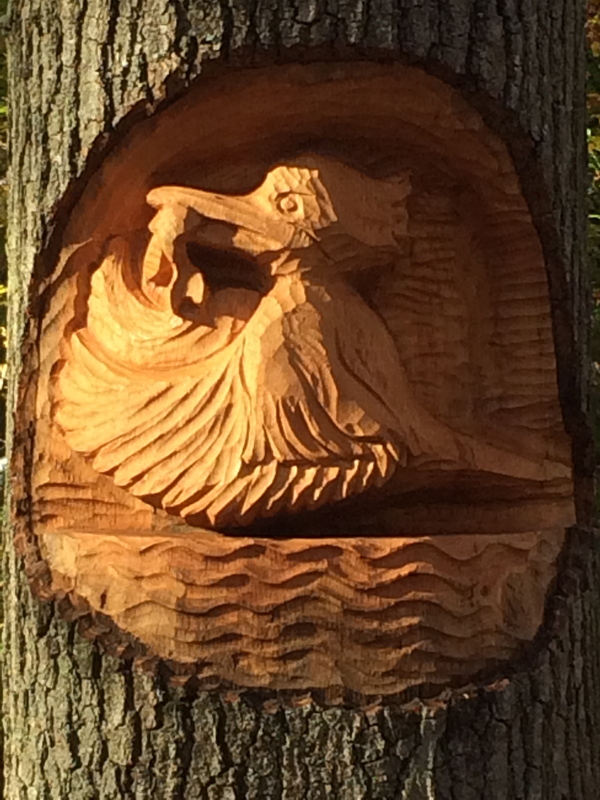 These two Pileated Woodpecker were carved in Rose Valley, PA for Lynn Kelley and Jim Castellan. Their Ash trees were healthy but not for long. The Emerald Ash Borer beetle is steadily and inevitably marching its way eastward. It is only a matter of time before the 40 or so ash trees surrounding their home succumb to this ruthless invader. 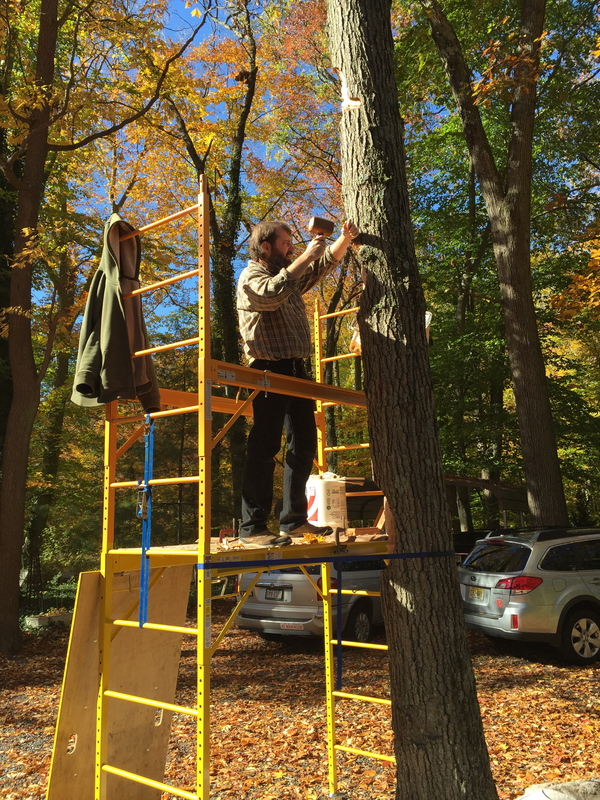 In order to enjoy the tree as long as possible they hired me to treat the wood and carve the birds. The black is achieved by burning the surface of the wood with a torch. I presented the drawing to the clients for approval before starting the work. 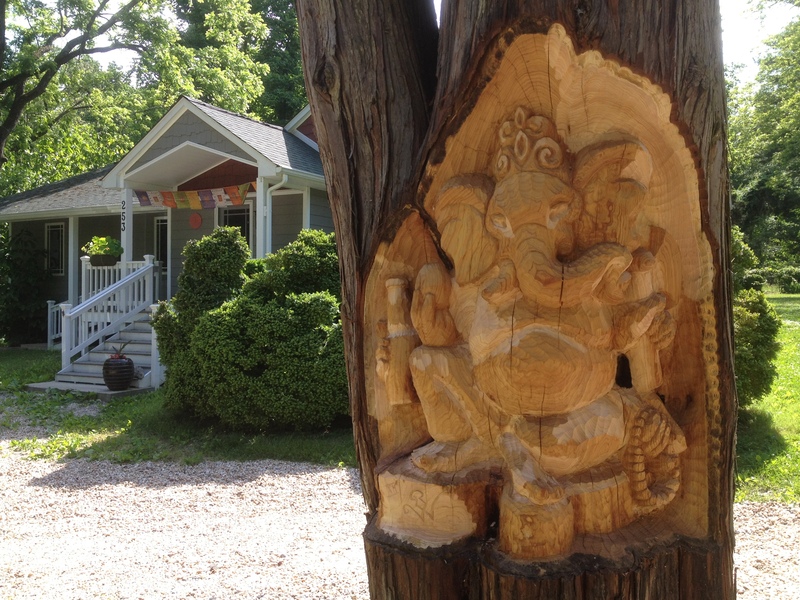 This entry was posted in Uncategorized and tagged art, Artist, commission, commissions, Philadelphia, Philadelphia Artist, philly, roger wing, Sculptor, Sculrpture, tree carving, wood carving. Bookmark the permalink.